Smartphones have been one of the most disruptive innovations of the past decade. They’re so ubiquitous it’s not surprising to see them in the hands of a 4 year old, a centenarian, or anyone in between. Their success has been a boon to manufacturers like Apple and Samsung. In Apple’s case, iPhone sales now represent approximately 70% of all company sales. The challenge that can come from that success is continued sales once the market reaches maturity and has been fully saturated. To maintain that revenue stream companies have to continue to invest in innovation to develop new versions with features that compel customers to upgrade to a new model. Over time that becomes harder and harder to do as you get diminishing marginal returns with each successive generation. That challenge appears to be hitting the smartphone industry according to the Wall Street Journal article, Your Love of Your Old Smartphone Is a Problem for Apple and Samsung. (See access note below) The article talks about similarities between the smartphone market and the automobile market. 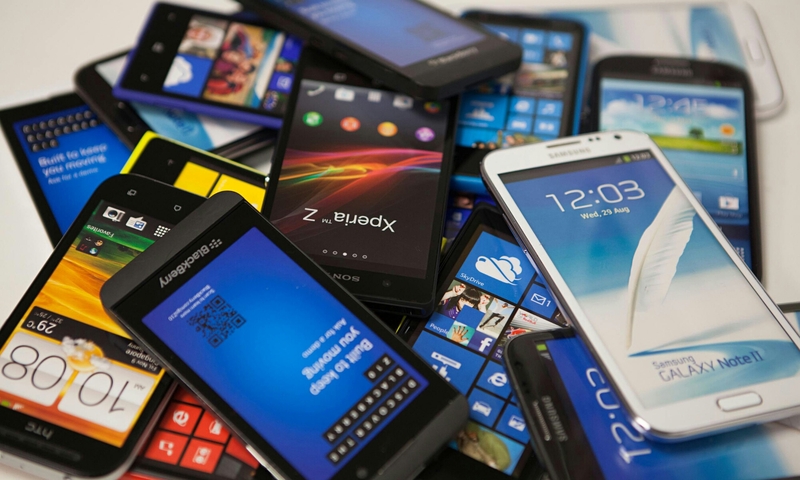 The devices have reached the point that improvements from one model year to the next are no longer as compelling as they once were so more and more users are choosing to continue using an older device or buy a secondhand/refurbished device rather than buy the newest models. The combination of less compelling reasons to upgrade coupled with the continued increase in price is taking a toll on new phone sales. Consumers are now waiting 31 months on average to replace their phones as opposed to a 23 month average 4 years ago. Ask your students what they would do if they were a smartphone manufacturer. Do you hold price to maintain margins or drop price to increase unit sales? Do you delay new releases to have more impactful versions and spread the costs out over a longer period? Do you decide the market is moving from maturity into decline and formulate an exit strategy and harvest what you can? Please note that we generally try to avoid using articles from the Wall Street Journal because a subscription is required but they do generally provide trial access to allow non-subscribers an opportunity to view a few articles. Remember when Apple was known for high prices. That is no longer the case. This article provides a nice example that will link to your discussion of skimming and penetration price policies. In the old days Apple was a niche player known for high prices. Now it owns some markets (tablet computers, smartphones, portable music players) and benefits from economies of scale. The company offers even lower prices by keeping older products in its line and offering them for lower prices. It will be interesting to see how they respond to the new Kindle Fire. 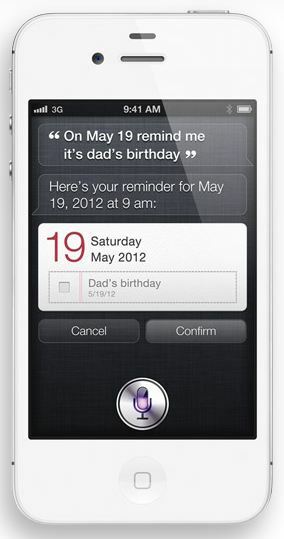 Read more at “Apple’s Lower Prices Are All Part of the Plan” (New York Times, October 23, 2011). Also posted at Learn the 4 Ps. There are plenty of articles (even a whole issue of BusinessWeek) paying tribute to Steve Jobs this week. As much as we respect Jobs, we weren’t going to join the chorus because we didn’t have anything new or specific to marketing to say. Then we found this 1997 video of Steve Jobs talking to Apple staff. Jobs had recently returned to the company he founded (he was booted in 1985). In the video Jobs explains what he thinks “marketing” is — actually explaining positioning — and introduces the new “Think Different” campaign (for a higher quality version of the ad click click here). You might want to provide some context for your students — most of them being only 5 or 6 at that time. Our students know the successful Apple of today — but Jobs returned to a company crippled by years of losses and record low stock prices. Apple’s market share in computers was less than 5% (it now may be over 15% based on recent numbers), there were no iPods, iPads, or iPhones. This might be a nice addition when you cover positioning or advertising. It might be interesting to ask if this type of positioning works best for certain types of products, and if so, for what type of product. We also posted this at Learn the 4 Ps. I have been reading a lot of articles this week about the new line of Amazon Kindles. 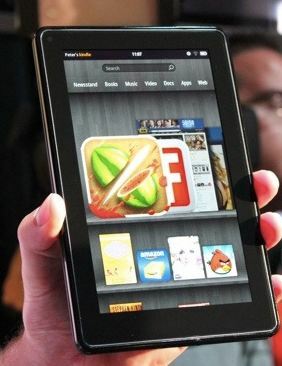 The most intriguing of these is the Kindle Fire which appears to provide a worthy competitor to the Apple iPad. While more limited, the Fire is also less than half the price. The best article I have found on the new Kindles is from Bloomberg BusinessWeek, “Amazon, the Company That Ate the World” (September 28, 2011). This article, while long, really digs into the marketing strategy angle from Amazon’s perspective. It also provides a nice compare and contrast of the marketing strategies of Amazon and Apple — two companies that are bound to have a big impact on American business for many years to come. The article is also very relevant given our recent post titled “Tablets Drive Online Shopping” (September 30). The article also provides an update to the case scenario on Amazon that opens chapter 3 in each of our books. We have also posted this at Learn the 4 Ps. This article provides examples you might find useful when you cover price, competition, marketing strategy planning, new product development or retailing.